Video shows her threatening to call 911 on two black women waiting for AAA. 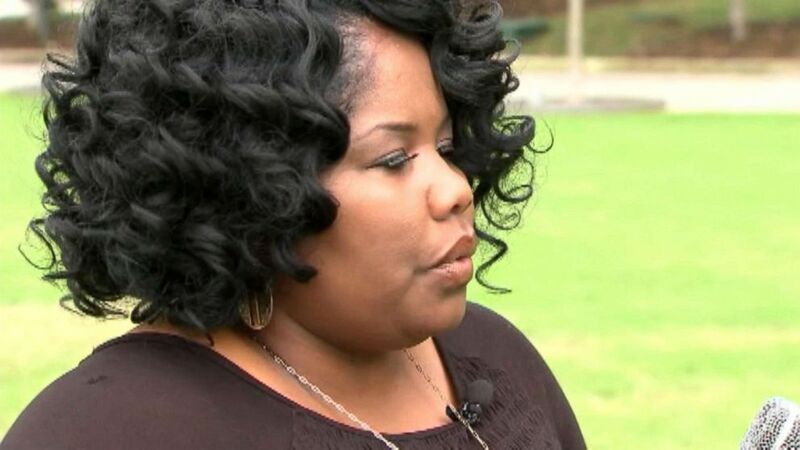 A North Carolina woman was fired after a video of her yelling racially charged remarks at two black women was published online, her former employer confirmed to ABC News. The woman -- identified by Charter Communications as Ms. Westwood -- was seen in the video questioning two black women who were waiting outside their Charlotte apartment complex for their car to be serviced. Leisa and Mary Garris, who live in the Camden Fairview Apartments in south Charlotte, say they were waiting for a AAA serviceman to arrive and jump their car on Oct. 19 when a stranger approached them, accusing them of loitering in the neighborhood. One of the sisters then took out her phone and began recording the encounter, they told ABC Charlotte affiliate WSOC. "'Cause this is Myers Park, this is South Park," Westwood said to the women on the video, appearing to accuse them of being in the wrong place. One of the sisters then replied politely, "Would you please leave us alone and go home?" Westwood asked, "Do you live here? Why do we feel, like, we need to be here, hanging out?" 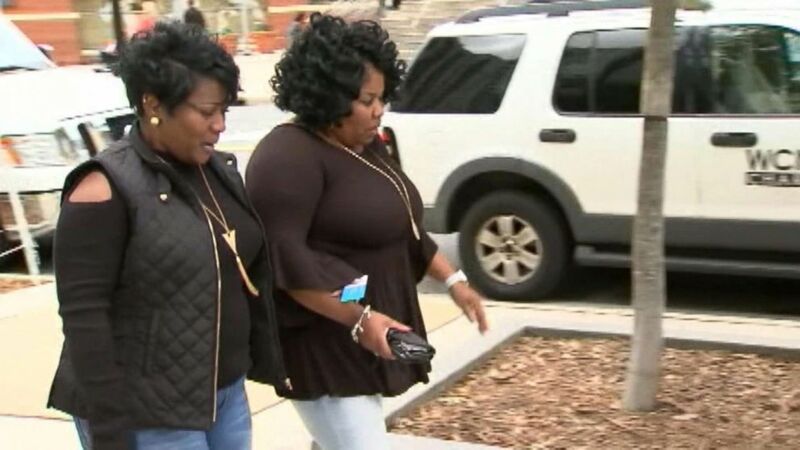 (WABC) Leisa and Mary Garris were waiting outside the Camden Fairview Apartment in Charlotte, North Carolina, on Oct. 19 for AAA to service their vehicle when a woman began yelling at them, they told WSOC. Westwood then asked what the Garris sisters pay in rent and threatened to call 911 to "make sure there's nothing going on here." "I make $125,000 a year," she bragged. "I want to make sure you're all up in here ... I got you, girl. I'm white." At one point, Westwood even asked if she should bring her "concealed weapons, too." "This is North Carolina, by the way," she told the women. One of the sisters is heard saying in the video, "You can smell the alcohol on her" as Westwood continues to yell. At another point, one of the sisters tells Westwood that she is going to call police because she feels "threatened." "Okay, we can do that," Westwood responds. "Hi, how are you? I'm hot. I'm beautiful. I'm 51. What are we gonna talk about tonight? Being hot? Being beautiful? Being white? My new weave? Do you live here?" Mary Garris told WSOC that she and her sister are "still very upset" and "distraught," adding that she believes they were targeted because of the color of their skin. "It is so upsetting to know that today we still have this overt racism going on in 2018," Mary Garris said. (WABC) Mary Garris said she and her sister were "distraught" and "upset" over the confrontation. About a week after the video was taken, WSOC learned that Westwood was an employee of Charter Communications, the cable and telecommunications company that operates under the brand name Spectrum. Charter Communications told ABC News in a statement that Westwood's actions in the video were a "blatant violation of Charter's code of conduct and clearly disregards the company's commitment to inclusion and respectful behavior." "As such, Ms. Westwood's employment with the company has been terminated, effective immediately." The Garris sisters are pursuing legal action against Westwood for the incident, WSOC reported. Officers responded to the scene, and four criminal summonses have been issued for Westwood by the Charlotte-Mecklenburg Police Department, WSOC reported. ABC News could not immediately reach Westwood or a public information officer for the Charlotte-Mecklenburg Police Department for comment.